Hey testers, 2018 is about to end in a month and a half and you haven’t attended a single testing conference yet this year? Or perhaps you are still eager to attend more. Then, here is one opportunity for you to attend the OnlineTestConf brought to you by Practitest. 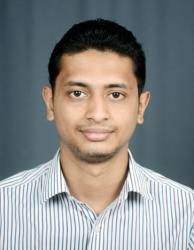 I am a software tester with more than 3 years of experience. I started my career in an e-commerce startup called Browntape Technologies. I was looking forward to work with a software testing organization which would help me showcase my testing and technical skills. So I joined Qxf2. I love scripting in Python and using Selenium. I live in Goa and enjoy its beaches. My hobbies include playing cricket, driving and exploring new places.